Premiered in 1935, at the famed summer retreat in Bennington, Vermont, Panorama was considered to be experimental. It was 45 minutes long and used an “avant-garde” score by Norman Lloyd. 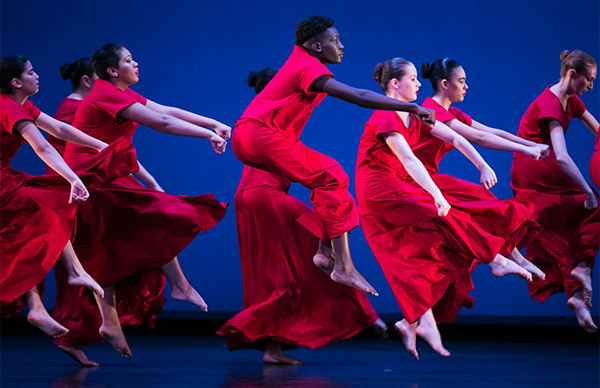 The dance also featured 33 student dancers and evoked the power of the people to make change. Panorama was lost until 1992, when the sections of it performed were discovered in an early film.